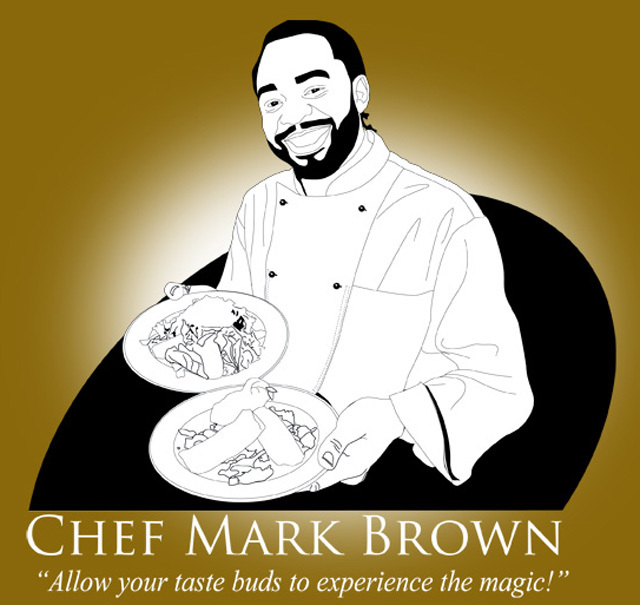 The Chef Mark Brown Team has catered for some of the most historical events involving bringing family and friends together such as celebrating the birth of the first grandchild into the Martin Luther King Jr. Family, the 75th birthday party for former Mayor of Atlanta Georgia ,and Ambassador Andrew Young these and other historical events which gave birth to the development of his television project and cookbook expounding on the importance of the dinner table and how it is a platform for family unity and the has spiritual relevance to our history. It is of utmost importance to Chef Mark that his service allows his clientele the opportunity to sit down at the dinner table and be able to spend time with family while enjoying healthy delicious food. This is something he is very passionate about. He genuinely believes the most important things in life are health, time, family and doing what you love to do in life!